Back in Paris, I jave just moved into a new apartment, which was custom-designed and renovated for me by a designer friend of my mother's, Afshin. His partner Kevin did all the woodwork. 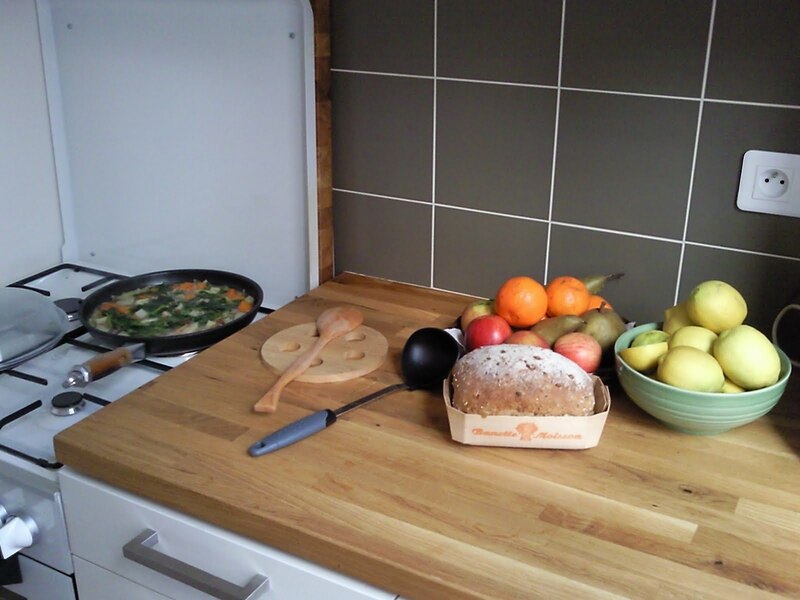 Although the living space is limited in small Parisian apartments, I have chosen to keep the original separate kitchen so as to have a real kitchen in which to enjoy cooking. Thanks to Afshin & Kevin's intelligent design, I have managed to fit all my cooking utensils and larder items into a kitchen only a third the size the one I had in Bangkok. Furthermore, I still have next to three square meters of flat working space, a big sink and a real stove. The stove is very modern, with electronic beeping and all. I am still discovering how to operate all the fancy cooking programmes. The German brand is obviously extremely reliable. However, it does not feature cooking tips for one of my favourite week end meat cuts: grilled duck wing confit from my native Southwest of France. I have prepared one last night using the cooking tips for roasted chicken wing but the result was not perfectly grilled and crunchy as it should have been. I will try again next week by tweaking the preset programmes.